Have you or your team ever delivered a fantastic sales demo only to have the prospect go quiet afterward? 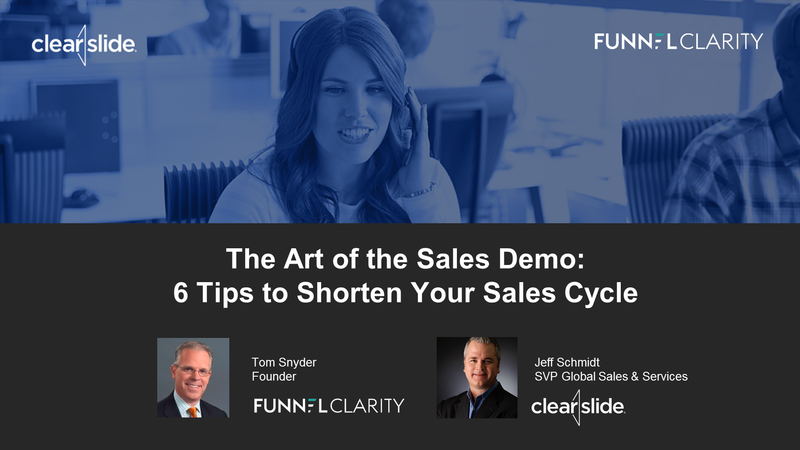 It happens quite a lot these days because the demo has become the center of the sales process - to the exclusion of other, equally important, selling fundamentals. Here’s what too often happens. You follow a series of steps to move an opportunity through the funnel—initial qualification, discovery, etc.—which lead up to the pivotal demo stage where you finally have the opportunity to highlight to the buyer all the amazing features your products or services have that can add value. You believe you really nailed the demo, highlighting all the ways you addressed the buyer’s needs and desires. You congratulate yourself on a job well-done, but then the deal gets “stuck” in the funnel.